11/29/12, "Yankees sign Mariano Rivera to one year deal, Russell Martin to Pirates,"
"Enter Sandman. Mariano Rivera will continue to pitch and he will do so for the New York Yankees. Baseball’s all time saves leader and perhaps the most dominating relief pitcher in baseball history has reached a one year deal worth $10 million. According to Jon Heyman of CBSSports the deal has incentives which could make the total payout to Rivera even higher. Rivera turned 43 on Thursday. The guaranteed $10 million is a paycut from the $15 million he made in 2012. Rivera tore his right ACL and missed most of 2012, he is expected to be ready for the start of spring training. While the Yankees re-signed their closer they appear to be on the verge of losing catcher Russell Martin. Ken Rosenthal reports that the Pittsburgh Pirates have signed the 29 year-old backstop to a two year deal worth $17 million." 11/30/12, "He can earn an additional $500,000 if he is MVP of the league championship series, $1 million if he is MVP of the World Series and $1 million if he wins the Rolaids Relief Award." Happy Birthday, Mo, and welcome back. 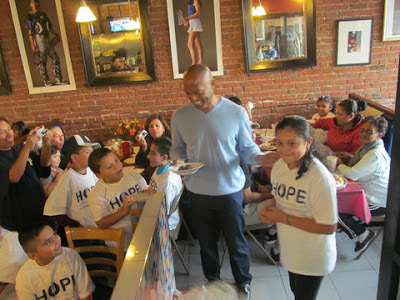 "HOPE Community Services client Michelle Oceguera presented cake to Yankees reliever Mariano Rivera in honor of his birthday on Nov. 29. Photo Credit: Justin Stock"
"Yankee pitcher Mariano Rivera put a smile on the face of Alejandra Lopez and 120 other children Tuesday at a holiday feast in New Rochelle. Rivera, the owner of Refuge of Hope Church in New Rochelle, hosted members of HOPE Community Services at AJ's Burgers near the church, which is currently under construction. "Here's a welcome sight for Yankees fans -- Mariano Rivera throwing off a mound. No, it's not some crazy CGI, instead, it's a commercial he shot earlier this month. As it was reported then, Rivera threw 25 pitches from the mound during the commercial shoot. What I didn't realize until now was what the commercial was for: Rivera's own signature cologne, part of the New York Yankees fragrance collection. Yep, now you can smell like Rivera all for the low, low price of $85. Anyway, here's his commercial (at link) for your viewing pleasure, unless you have one of those new scratch and sniff monitors, you'll just have to imagine how he smells after 25 pitches until you can get down to Macy's to get your own whiff." "“How can I really teach this pitch if I can’t explain how it came to me in the first place?”—Mariano Rivera in March"
The article notes Doug Glanville's Oct. 11, 2012 tweet in which he said all Yankee bullpen members were throwing cutters now. The BP article does cumulative research and finds an appreciable transformation hasn't yet occurred. I understand the guys are all together in the bullpen, but I had never heard that any of them asked Mo to show them how he does it. Some may have done so, but I've never heard it mentioned. While researching this topic for Ben, I found that Farnsworth started throwing his "cutter" while with the Yankees. Nov 15, 2012 09:54 AM"
"Panama City native and future Hall of Famer Mariano Rivera addressed reporters on Thursday, hours before throwing out the ceremonial first pitch at Rod Carew National Stadium, prior to Panama playing Brazil in World Baseball Classic qualifying. "I do have a lot of pride to do this because I'm in my hometown," the Yankees closer said. "And when you're in your hometown, it's obviously a pride and a joy to be here. I wish I would be throwing out the last pitch and not the first pitch, but it is what it is. I'm just going to be here to enjoy and support the team." Rivera missed the most of the 2012 season after tearing his right anterior cruciate ligament in May. Reporters asked why Rivera, who turns 43 on Nov. 29, won't be participating in the Classic for Panama, but Rivera said he's not 100 percent yet. "I'm feeling good," Rivera told MLB.com. "The rehab has been great. It's been tough, but at the same time, I'm seeing good results. I can't wait to continue and stay 100 percent. A day at a time, like I always tell you guys. A day at a time." As for his contract negotiations with the Yankees, they're still ongoing. Rivera said he can't imagine himself in any other uniform but pinstripes. "I won't say that," Rivera said. "Definitely, it would be the Yankees, obviously." Rivera isn't the only high-profile MLB player who will throw out a ceremonial first pitch at the Panama World Baseball Classic qualifier, as Royals pitcher Bruce Chen is scheduled to throw out the first pitch on Friday before the Colombia-Nicaragua matchup." 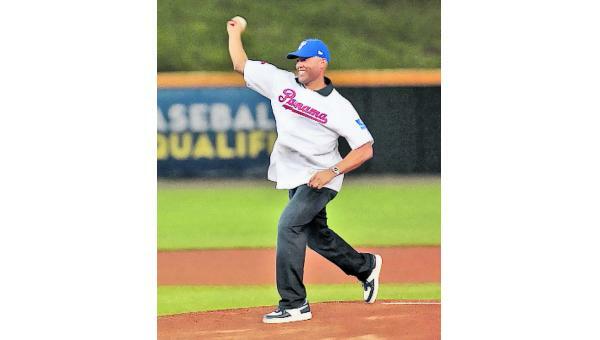 "The saves leader (608) of all time in the majors, the chorrerano Mariano Rivera, received a hero's ovation Thursday night at Rod Carew Stadium, where he launched the game honor inaugural Classic III Baseball World. Rivera, who was in Panama for three days and returned to New York yesterday, went to the mound to about 8:00 pm to the deafening sound of applause, shouts, whistles of the thousands of fans who flocked to the Coliseum Mocambo . 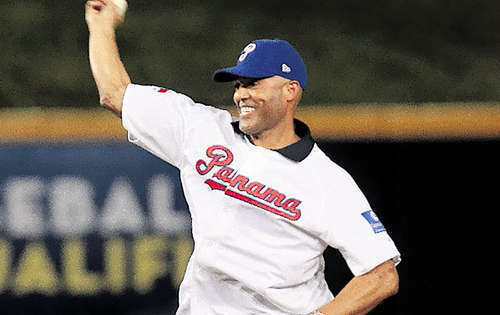 The veteran closer, which next turns 43 on November 29, said he was sorry to have to make the first shipment and not the last, to mean that hubuise liked wearing the uniform of Panama with this selection. 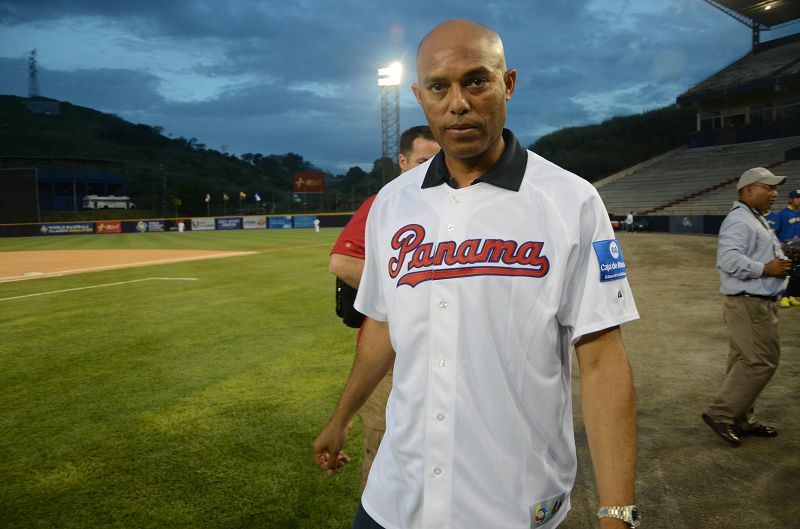 "The closer Mariano Rivera received a hero's ovation Thursday night at the Rod Carew National Stadium, where he launched the game honor of the Heat's inaugural World Baseball Classic III. 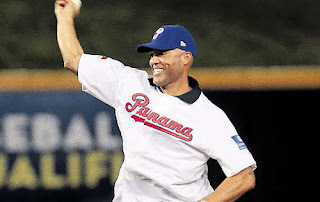 Rivera went to the mound Rod Carew National Stadium at 8:00 pm to the cheers, screams and whistles of the thousands of fans who attended the Mocambo Coliseum. The saves leader of all time in the majors with 608 saves, said he was sorry to have to make the first shipment and not the last, to mean that he would like to wear the uniform of Panama with this selection. "Juan Carlos Muniz drove the race of the difference in the top of the fifth inning for Brazil will bend Panama 3-2 on Thursday in the opening qualifying tournament for the World Baseball Classic. Also, reliever Murilo Gouvea pitched three strong innings to help a team that shattered forecasts. 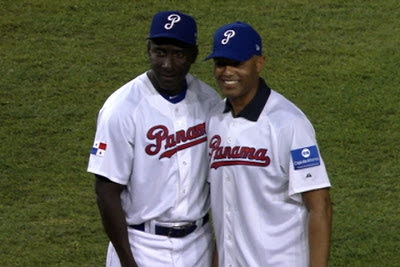 Panama, who played in their stadium Rod Carew and several players recognized in the majors, was the favorite on paper. Brazil will face on Saturday the winner of Friday's game between Colombia and Nicaragua. Should win his second match, the team led by former Reds player Barry Larkin Cincinnati advance to the dispute on Monday Ticket to World Baseball Classic, which will take place in March. Panama will face the loser of Saturday clash Colombia-Nicaragua. Muñiz unstoppable hit off reliever Ramiro Mendoza right at the top of the fifth with runners on second and third with one out. Reginatto Leonardo, who was on third, scored the tiebreaking run 2-2. Panama opened the board in the bottom of the second inning with a hit of Jose Macias drove shipments Ruben Rivera opener against Andre Rienzo, who was in the fourth inning no-decision. Brazil responded with two runs in the third inning, with unstoppable Reginatto sent to the cash register to Paulo Orlando, who had hit a one-out triple off starter Paolo Espino. Then Reginatto scored the second after an error by first baseman Carlos Lee throwing lefty Antonio Cuan, who tried to take Daniel Matsumoto after he hit grounder to pitcher. Then how relieved Espino. 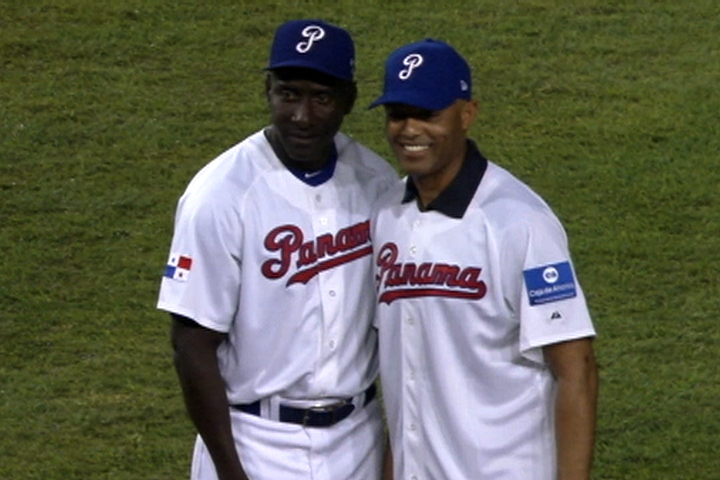 Panama tied the score in the third inning with lower sacrifice homer that sent Carlos Ruiz to Isaias Velasquez home. But from there the Panamanians had trouble deciphering the Brazilian pitching, especially the right of Gouvea, who threw three innings in which only allowed one hit. Noris Chacón, was admitted for Rienzo and got one out in the fourth inning, got the win, while the right Thyago Vieira got the final three outs for the save accredited. Reliever Ernesto Silva, who pitched two-thirds of inning and was charged the third race in Brazil, it was the loss. and no wonder, since they were visited by a special person. 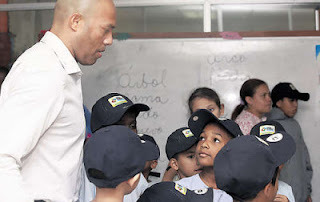 It was the Star closer of the Yankees, Mariano Rivera. The player chorrerano, visibly moved, gave out hats, sweaters and balls among boys. The player thanked God for the opportunity to share with the children and also praised the work done by the medical staff at the hospital." photo Gamez, google translated from Spanish. So far for the word "chorrerano" I find it might be an area of Panama. Original Spanish text: "El jugador chorrerano." Mariano Rivera pulling in fishing net on boat, date unknown, picture from an SI.com vault, athletes fishing.